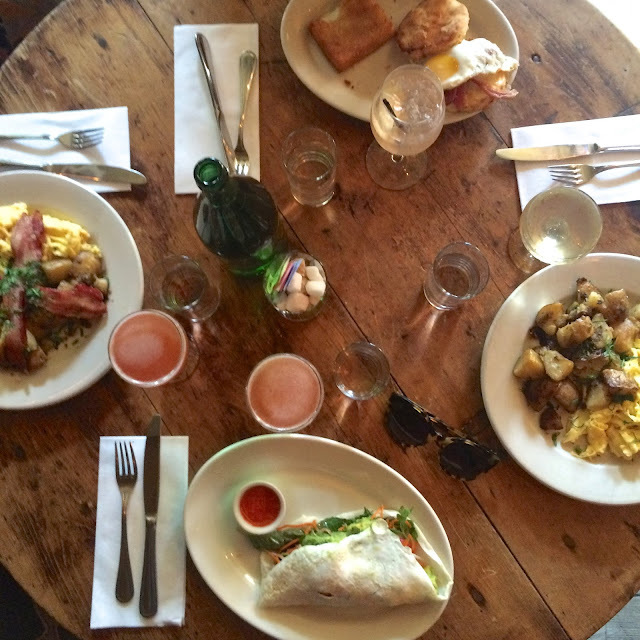 It's no secret that I am absolutely obsessed with brunch. I mean, what's not to love? It's the weekend, you get to sleep in, it's acceptable to drink in the morning... basically it's where the boundaries of breakfast and lunch collide to form perfection -- am I overselling it? I don't think so. Anyway, today I want to share with you a new favorite brunch spot of mine. You can also find a list of all of my favorite NYC restaurants here that includes a specific tab just for brunch! So, I've wanted to try Freemans for a while now, but given they don't take reservations for small parties, usually the obsessive planner in me will opt for a guaranteed table elsewhere. 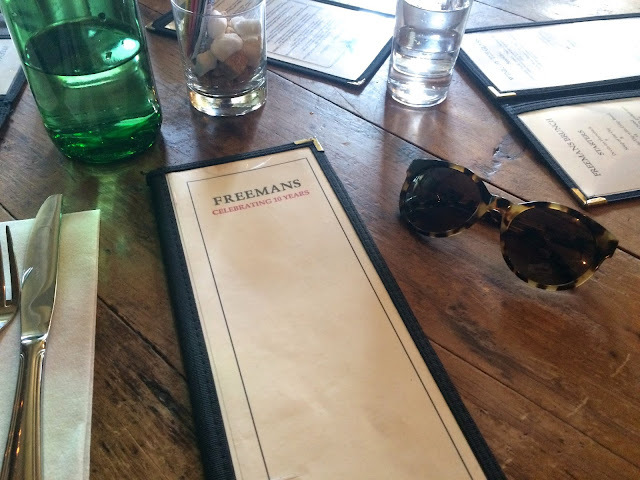 However, on Saturday, a no reservations option was ideal for a last minute brunch plan with some friends and I was blown away by how absolutely amazing Freemans is. Everything about this restaurant feels like a beautiful secret, starting with the fact that you have to wander down this graffitied alleyway to find the entrance. 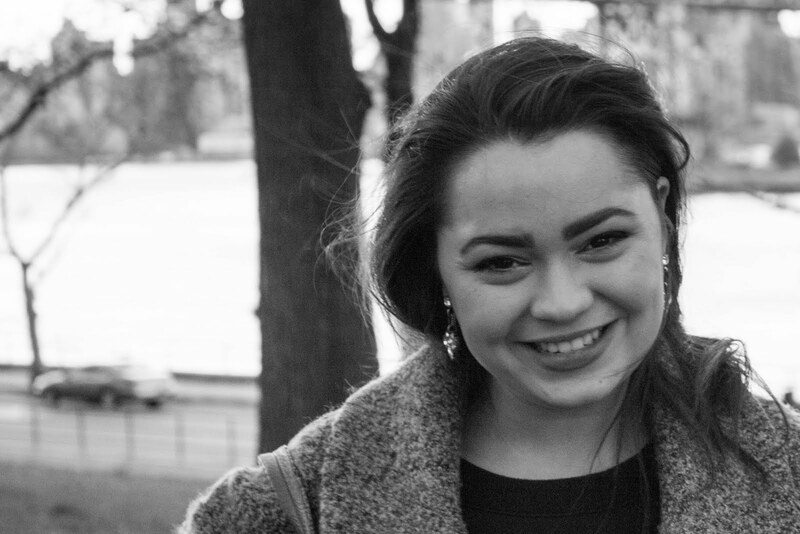 What was great about this particular brunch, was that it happened to be my friend Kaitlyn's first ever brunch experience. I was originally shocked to learn this, but of course, now that I'm aware, I will make sure it's her first of many.... she basically has no choice in the matter. 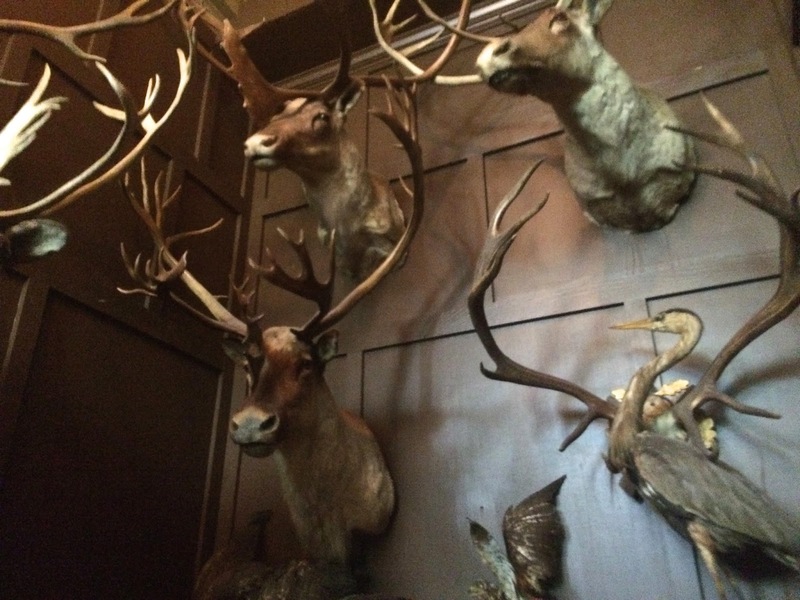 The interior of Freemans can be described as cozy hunting lodge chic. We were seated upstairs for brunch and I absolutely loved all of the old upholstered couches. 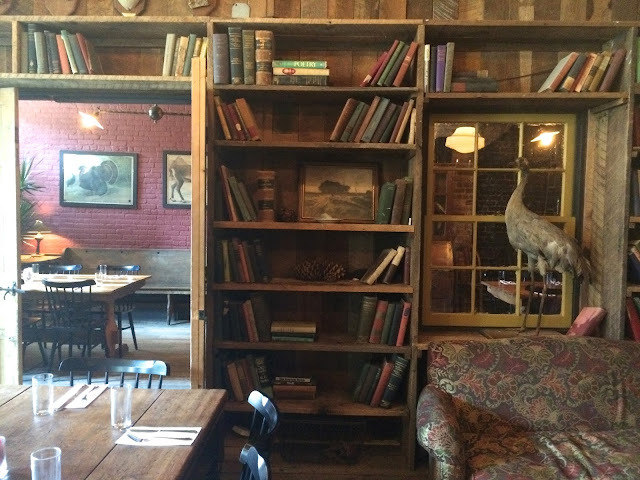 With the vintage books and wooden accents, the decor was like being in someone's cozy living room in the mountains. Oh my goodness, the food was so good. My egg white crepe was beyond amazing, and in fact, everything that passed by our table from the kitchen smelled absolutely fantastic. 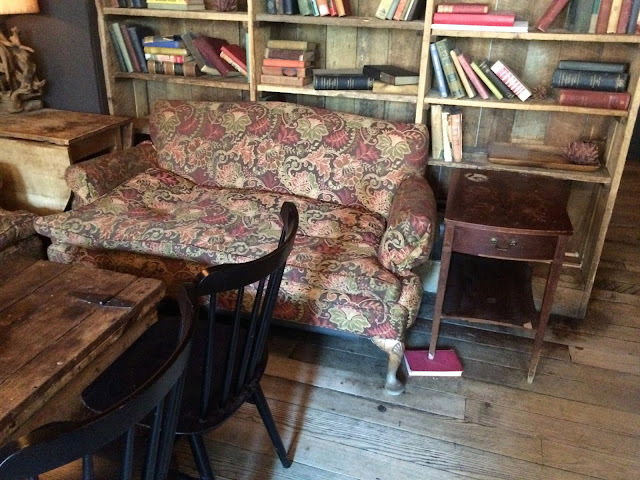 We debated whether that book under the table was an adorable design detail or simply a necessity. I think these postcard cats are creepy but Kaitlyn loved them, which was perfect because I made her keep it as a memento of her first of many brunches. This is honestly one of my new favorite brunch spots to date, and I can't wait to visit it again possibly for dinner. I bet the alleyway at night is beautiful... which is weird because, in any other situation, I would find a nighttime alleyway incredibly creepy. Anyway, the point is you should probably wander down Freemans Alley yourself sometime soon for a lovely brunch.